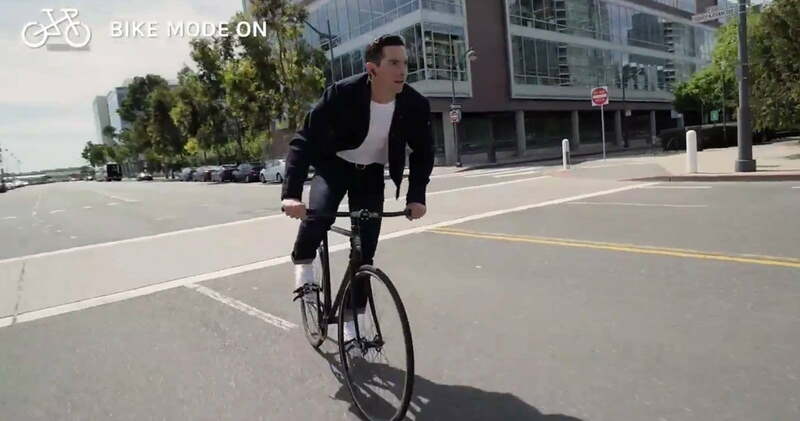 Levi’s Commuter Trucker jacket, the first commercially available clothing with Google’s gesture-sensing Jacquard fabric technology, was first revealed at Google I/O 2015. But after a months-long beta and production delays, it’s hitting store shelves for $350 at boutique stores on Wednesday, September 27 and Levi’s stores on October 7. Jacquard, named after a loom, is an ongoing research project from Google’s Advanced Technology and Projects. If you saw Levi’s Commuter jacket on someone in the street, you would think that it’s just an ordinary garment. That is because Google designed the touch-sensitive Jacquard technology be as unobtrusive as possible. The only thing that looks slightly different is the Commuter Trucker jacket’s Jacquard tag. The tag, which snaps onto the sleeve and resembles a trench coat’s cuff strap, has a light-up LED and vibration motor, recharges via USB, and lasts about two weeks on a charge. Once it is paired to your smartphone and you’re wearing the jacket (the Jacquard system can automatically tell when you put it on), you can perform gestures — a “brush in,” a “brush out,” or double tap — that manipulate apps on your phone. Google showed a video of a man riding his bike and tapping or swiping his sleeve to pin a location to Google Maps, answer calls, and more. By default, the Jacquard smartphone reads all incoming messages aloud through your phone or a pair of headphones but can be configured to only allow calls and texts from certain contacts. The jacket’s other cool tricks include swipe-based music playback controls and a screen that shows real-time feedback from the jacket’s touch-sensitive threads. It remembers your work and home location (a double tap of the jacket’s tag pulls Google Maps turn-by-turn directions) and can keep track of the number of miles you have biked. The Levi’s Commuter Trucker jacket is the first with Jacquard technology, but Google says the platform will be open to any clothing manufacturer that wants to implement Google’s gesture-sensing fabric into its clothes. And the company isn’t just thinking about biking — it’s planning on moving into athletic and businesswear to expand the capabilities of Jacquard. Eventually, you will be able to control not just Google services through your clothes, but also third-party services like Spotify and Strava. The search giant said it will release its APIs for any developer to integrate the Jacquard platform into their services. On stage at a Levi’s event last year, a representative from the company played the next song by swiping his sleeve and checked to see when his next appointment was — the response came via the Google Assistant. Update: Added pricing and availability information.